The Jungle Book’s climax was certainly one of mass destruction. One that Andrew Todd of Birth.Movies.Death. found to be frustratingly similar to Man of Steel’s. I respectfully disagree that there is a connection to make. To begin with, I would like to say that to a certain extent, I am in solidarity with Todd. I am so very tired of the Superman given to us by the Zach Snyder films. Tired of the idea that good and kind characters are boring, and that a character has to be some level of jerk to be sufficiently interesting. Tired of destruction and mayhem for the sake of edginess, especially without the heroes attempting to prevent it. But The Jungle Book 2016 does not fall into those categories. Equally, or even more importantly, Mowgli does not. There’s a lot to unpack in Todd’s article but I’m going to avoid discussing the technicalities of plot and focus mainly on the character of Mowgli. When Mowgli first seizes the Red Flower from the Man Village, it’s true that all he he sees is a way to defeat Shere Khan. But, as many comments on the article point out, the boy’s attitude quickly changes when he sees the destruction he caused. It’s not just Shere Khan’s jab that make Mowgli reconsider his actions. It’s the response of those around him. Though it’s not a verbal acknowledgement, Mowgli realization and pain is real when he sees the animals cower from him. Especially when even Grey shrinks away. This moment is the entire Jungle calling Mowgli out on his actions, and it’s the most brutal way they could have said so to Mowgli. Todd later rhetorically asks in his article, “Who is Mowgli? What does he want? What does he need?” but these are all answered in the movie. These answers tie very closely into the way the Jungle animals reject him, because all these answers tie into the notion of belonging. Mowgli’s ongoing wish to stay in the Jungle is a holdover from the 1967 animated feature (in Kipling’s tales, he willingly goes to the Man Village only to be driven out later), but here it is given more weight. 1967-Mowgli simply reiterates over and over again that he wants to stay in the Jungle, no reason given. He just wants to stay. 2016-Mowgli is given reasons. The alienness of Man is further established when he goes to retrieve the fire. Not even Kaa and Shere Khan appear as unnerving as the loud and raucous silhouettes of men and women against the bonfire. There is a fear and unease surrounding men, and despite being a man-cub, Mowgli does not belong there. Yet he does not seem to belong in the Jungle either. He can only remember living with the pack, and yet even there he struggles to fit. A major emotional conflict for Mowgli throughout the film is seeking Bagheera’s approval, which in-turn, translates to Mowgli seeking the Jungle’s approval. What Mowgli is pursuing throughout the entire film is a place to belong, not as a wolf but as himself. When he brings fire to the Jungle, the people’s cowering clearly tells him that he does not have a place there. And that is how he is truly called out on his action. It’s a call out that works more effectively than any lecture Akela or Bagheera could give. Thus, his attitude towards the Red Flower changes, and he casts the torch away. Returning to Todd’s statement – “Mowgli sees the fire purely as a trap in which to kill his enemy…” – we also need to take into account the intent of Mowgli. Why does he seize the fire and seek to defeat, maybe even kill, Shere Khan? What made Shere Khan his enemy? In the original Kipling tales of Mowgli, the man-cub definitely views Shere Khan as an enemy from the moment he is conscious of his own thoughts, and actively looks to kill the tiger throughout his life. In these stories, his hatred of the tiger comes from the tiger’s wish to kill him. An understandable enough motivation unto itself, but that is not what drives the Mowgli of 2016. In Favreau’s film, Mowgli views Khan as a threat, but not as something to be destroyed. There is no talk of killing Shere Khan, not even after Mowgli learns he wants him dead. Not even after Bagheera tells him that he has to leave the Jungle because of Shere Khan. Mowgli never even considers fighting the tiger until Shere Khan makes it personal. Until Shere Khan murders Akela. Here is where we get to the meat of Mowgli’s character. Mowgli is ultimately a character that cannot let a wrong go unchallenged. Todd disagrees, claiming that “bringing fire to the jungle is the sole action that Mowgli takes as a character. Mowgli is a passenger in his own story, spending the entire film either following orders or running away from predators.” While a lot of Mowgli’s story and journey is fraught with circumstances that alter his course, I have have a comparison to offer to Todd. 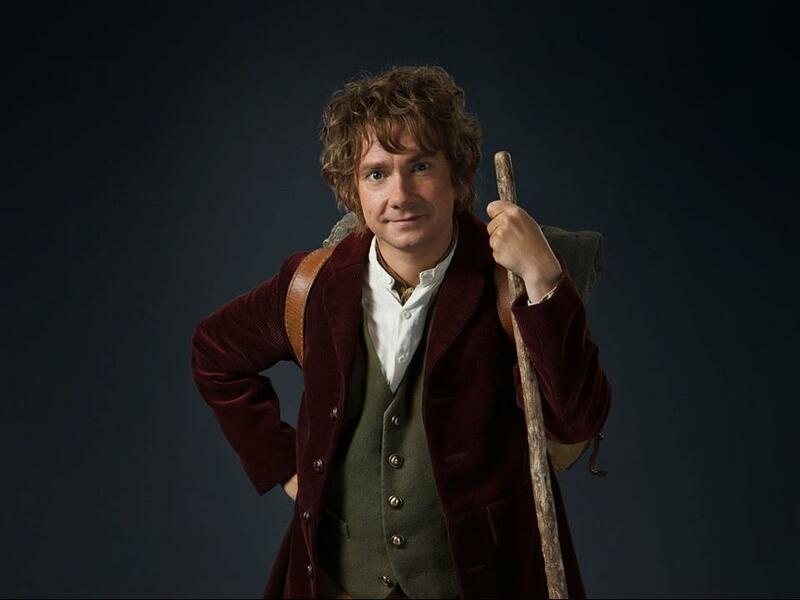 Never was there a more passenger of a protagonist than Bilbo Baggins. The poor hobbit’s home is swarmed unexpectedly by dwarves, he’s shuttled half-witted out the door by Gandalf, and he’s swept along only half-willingly until it’s too late to turn back. Bilbo spends the first half of the book being ordered and carried about while he rather passively frets. Once Gollum’s cave happens, however, something changes and it’s not just the Ring. Bilbo begins taking an active part in his own adventure. He chooses to spare Gollum, he seeks out and rescues the dwarves from the spiders, he frees them from the elven prisons, the list goes on. Bilbo’s passive role is equally as important to his story as his active role. The second half of the story is in sharp contrast to the first, which means that his actions moving forward are highlighted even more strongly than they would be if he had been an active player from the beginning. It’s true that Mowgli spends a great deal of time following orders, and like Bilbo, this makes sense in-universe. Bilbo is a very respectable hobbit at the start of the tale, and for goodness sake, he left his handkerchief back at Bag End; one can’t expect him to lead the party on their quest. Mowgli is a child, still learning the ways and the dangers of the Jungle; of course he’d follow the lead of older individuals he trusts. But, like Bilbo, this means that when Mowgli does make his own decisions, they stand out in sharp contrast to the rest of the story. And we have not one, but five instances of Mowgli taking action on his own, all of which tie back into that core of Mowgli’s character. The boy cannot let a wrong go unchallenged. In our second comparison to the 1967 cartoon, this is another instance that Neel Sethi’s Mowgli has a leg-up from Bruce Reitherman (the original voice actor). In the animated feature, the decision is made for Mowgli, which adds to his petulant nature later on. Here, the decision to leave is Mowgli’s, and it’s one made out of selflessness. He knows that his presence provides a threat to the safety and unity of the Pack, and to Mowgli, an unsafe and divided pack is wrong. So he chooses to leave. This is one of the most important scenes in the movie as it is a turning point for Bagheera and also is the first time Mowgli’s need for belonging is truly met. This scene was deserving of its own post, but the key point that it contributes is that Mowgli took action on his own. Baloo did not encourage this action, nor did Bagheera walk him through the steps. In fact, they are both rather horrified when they come into the scene. Mowgli applied what he learned from both Bagheera and Baloo, but everything about this scene was done by his own power and was a result of his own choice. He is astounded and angry that Bagheera and Baloo knew of what Shere Khan did to Akela and the wolf pack but did nothing to make it right. And this is the moment that Shere Khan becomes an enemy in Mowgli’s eyes. Self-preservation is not what motivates him to attack the tiger. It’s defending the Pack and setting a horrific deed right. And here is where Mowgli turns his own core moral on himself. Even in the face of death from Shere Khan, when he knows he has divided himself from the rest of the Jungle, he sees that he has done something very wrong indeed, and so casts away his torch. He denies his own life to right a wrong. It could be argued that this is a too little, too late scenario, as the Jungle is already on fire, but this is still significant. Mowgli acknowledges the damage he has done and resolves to do it no more. And then, he does what he can to fix it. While it is not outright stated, the movie still lets us know that it was Mowgli who saves the forest from the fire he caused. Much of this comes down to the visual cues provided in the movie, and The Jungle Book is a film that heavily relies on its visual storytelling. Many moments in the climax are mirrors of things that had happened before, namely how Mowgli creates his tricks, but they are abridged now that our eyes have already seen what happens. In the same way, Mowgli’s encounter with the elephants is mirrored from the previous scene with the infant in the pit. At the pit, after he bows to the herd, they allow him among their number and then follow his lead to fix the issue at hand. In the scene following Shere Khan’s demise, Mowgli bows to them and then is next seen at the head of the herd. The elephants were the ones who made the rivers run where they wished, but Mowgli was the one who showed them how. Mowgli is not let off the hook by the elephants fixing the problem, but rather he makes amends by being a part of the solution. Todd, I will agree with you on this: Mowgli doesn’t change much over the course of the film. That is certainly one aspect he does not share with Bilbo. But that’s not the story they are trying to tell here. To return to the superhero comparison, this is not an Iron Man film where the hero needs to gain maturity. This is more like a Captain America film, in which the hero, being out of place but not out of morals, fights to make their world better in every way they can. In fact, Mowgli’s story in The Jungle Book is closer to that which Superman’s in Man of Steel should have been. This entry was posted in Uncategorized and tagged film, jungle book, jungle book 2016, movies, mowgli, the jungle book. Bookmark the permalink.